The barbershop is a place I consider to be a crossroads of the marketplace and community. There are few places in neighborhoods that can claim to provide entertainment, grooming and provocative talk on any topic imaginable. Men gather from all ages and walks of life to occupy what is the size of someone’s bedroom. This is the ultimate retreat. Trips to the shop can take anywhere from an hour to five or six hours. They are usually filled with info sessions about happenings around the way, across town and the world. Topics range from sports, race, politics, religion, women, scandal, money, etc. The idea is that there are few topics off the table. You don’t necessarily need to be an expert on a particular topic to share and defend your thinking. In many cases, thoughts can be expressed carelessly because the environment can provide an opportunity for the sport of public embarrassment. For those familiar with the setting it can sometimes mirror an arena where men of various social status come to battle with stories of their exploits. Most of these battles end in friendly banter and a promise of future bouts. I have witnessed grown men almost come to blows over debates about whose a better forward Kobe or Carmelo. The sport of public discourse will bring a man back to the shop for a weekly $15.00 hair cut. This environment is much like what Hollywood tried to replicate with Cheers. The atmosphere is organic and in many Black barbershops, you will see pictures of Civil Rights leaders or NBA stars splattered across the wall. In many black owned barbershops, you can purchase socks, bootleg movies, music CD’s, and almost anything else that can be carried in a duffle bag. There is history in these shops. I can remember growing up and getting cuts on 22nd Street below Lehigh Avenue at one particular barbershop continuing the line established by my brothers. I was known as Kev’s lil brother for years. Haircuts back then were under $8.00, no fades, and no magic just a cut—plain and simple. You sat down and got what the barber gave you and you didn’t question it. This is another one of those places where oral tradition is captured and delivered to the next generation. If that generation is ready, they can receive the wisdom of the experienced and wise men that come through to participate in what could be weekly neighborhood training opportunities. I tend to think of the barbershop as an urban agora. 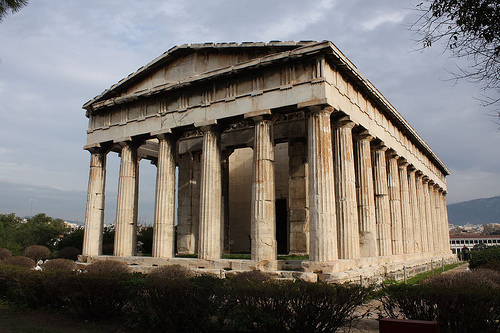 The ancient Greeks would gather at the center of the city to engage in public art, athletics, and open forum debates on spiritual and political matters. The contemporary urban barbershop has a connection with this kind of community. It is here in the agora that many of the philosophers of the times honed their craft—asking questions and giving their viewpoint. http://faculty.frostburg.edu/phil/forum/SocratesLife.htm. “The presence of many sophists in the city was a primary reason for the transformation of Athens into the main center of Greek intellectual life. Sophists did not only educate the sons of the upper classes, they also absorbed and debated the works of Greek–and probably foreign–thinkers among themselves, thus creating an atmosphere of broad-minded intellectual exchange that laid the groundwork for a cosmopolitan civilization. While many smaller cities and outlying regions produced outstanding thinkers and artists, it was primarily in Athens that the various minds would meet and publish their work. 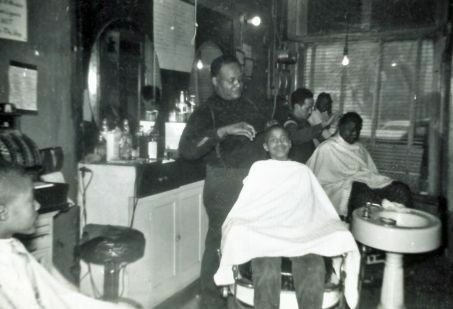 Through cross-fertilization and competition within the context of a thriving and powerful metropolis, these minds developed their talents and productions to the high degrees of excellence by which classical Athens established itself as the first major center of Western civilization.” This seems to be the Socratic tradition that is present within the community environment of many barbershops in black communities. Is it ok if I will share it on my website?